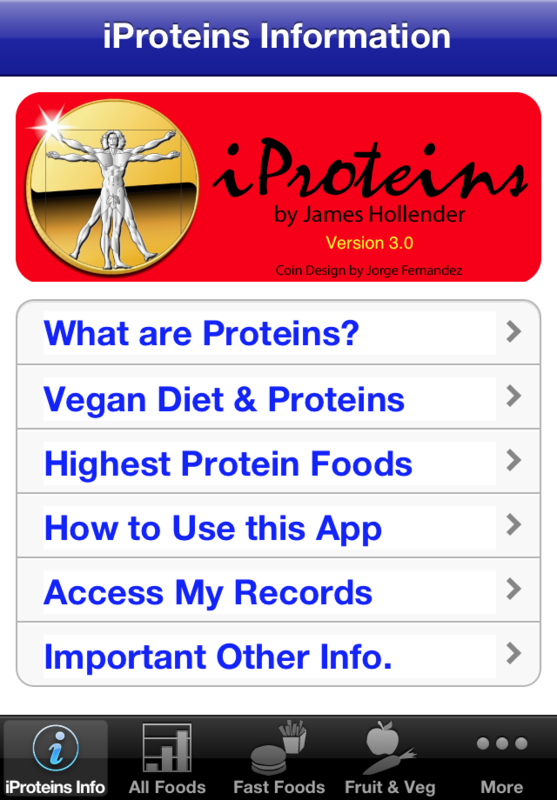 If you are either a bodybuilder, vegetarian or vegan then this is an app you will truly make use of on a regular basis. Perhaps you are one of those people who has long struggled with the idea of going vegetarian or adopting a vegan lifestyle because you’re worried that you won’t get enough protein. Or, perhaps you are a vegan or vegetarian who isn’t getting as much protein as you’d like (or even need). Well, iPhone to the rescue again, because there’s an app for that. And particularly if you’re considering going meat-free for the new year, iProteins (no points for originality on the name) can be your new best friend. 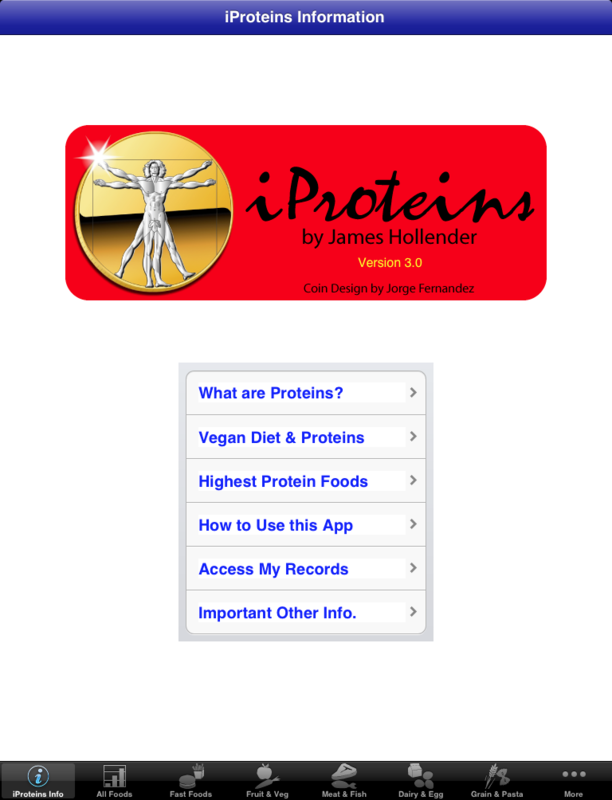 The app was originally designed for body builders (who require massive amounts of protein in order to build that massive muscle mass), but if you’re unsure of where to go to get your best meat-free protein source or how much of it you need, it’s also a perfect veggie app. 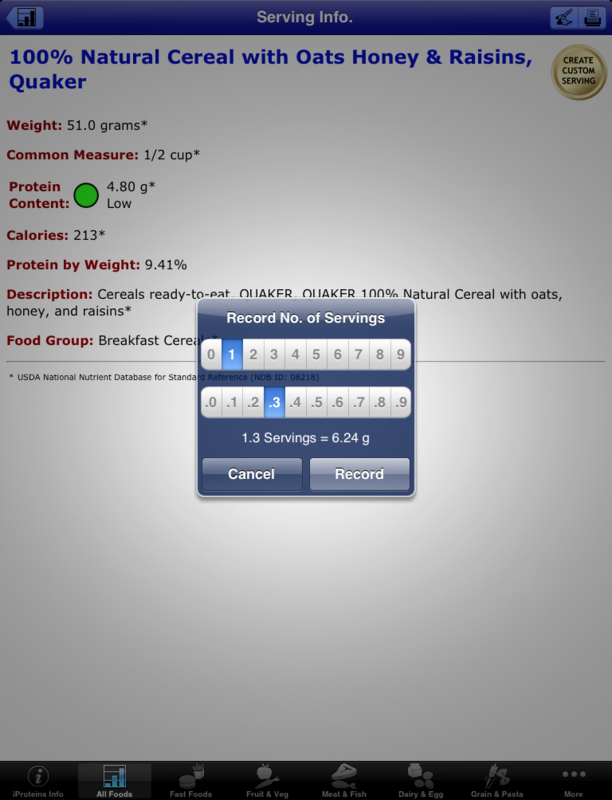 What is the USDA Nutrient Database number, you ask? 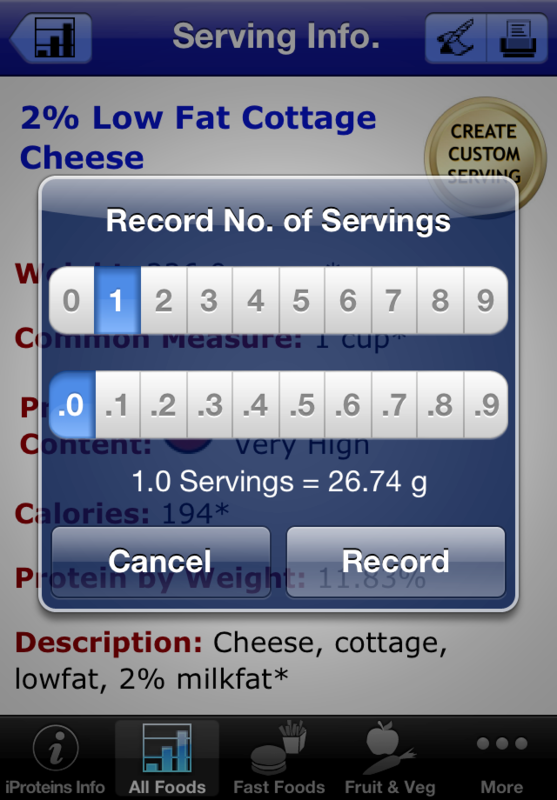 It’s a number derived from the USDA National Food Nutrient Database for Standard Reference: Protein Content of Selected Foods per Common Measure. It’s actually the data that serves as the basis for the entire app. 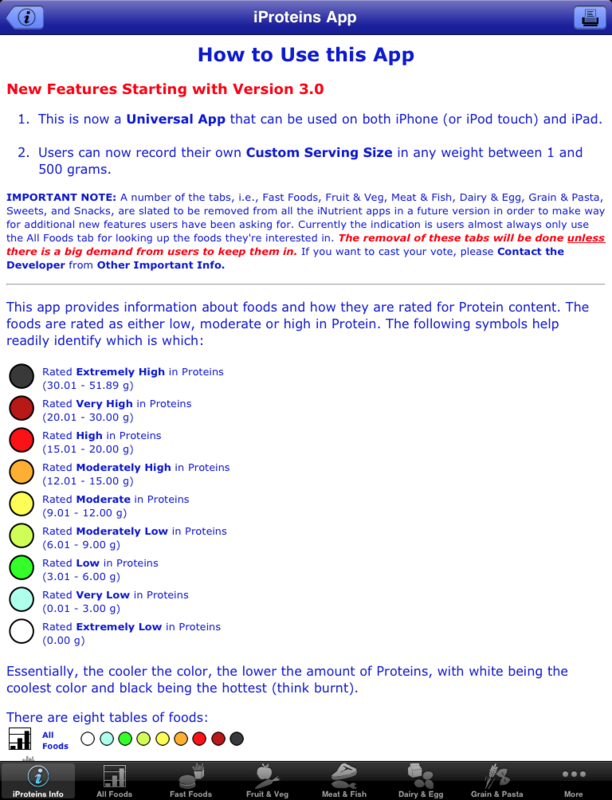 There are over 1100 different food servings in iProteins, and you can also search by how a food is prepared (ie: canned versus frozen). 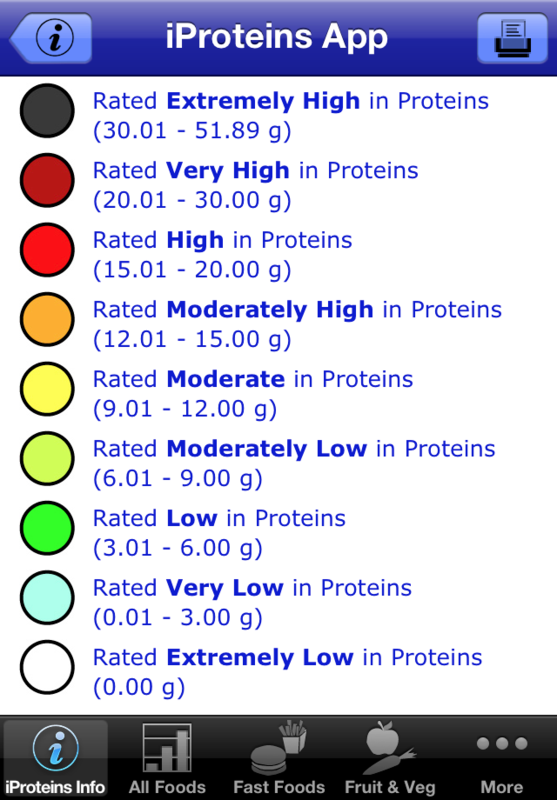 Also, food is rated by a handy color coding system for the visually inclined. 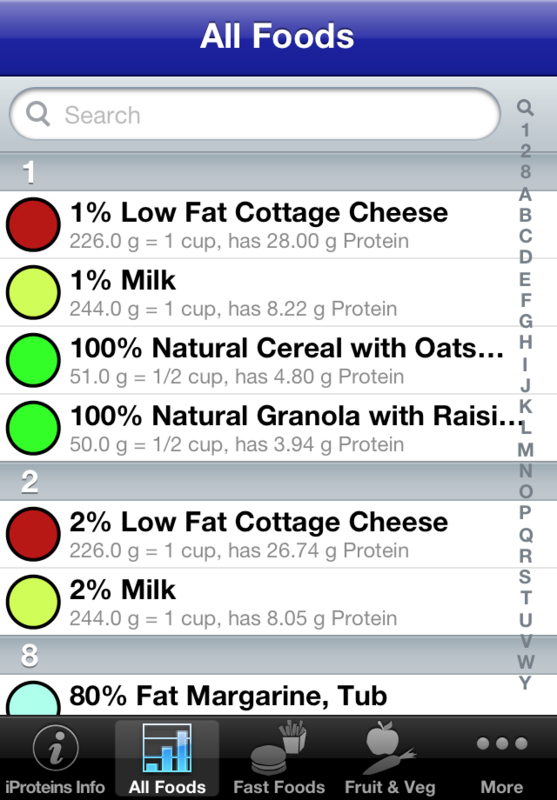 White means you have an extremely low number of grams of protein in the item. Red means a high count. There’s a range in between, of course. 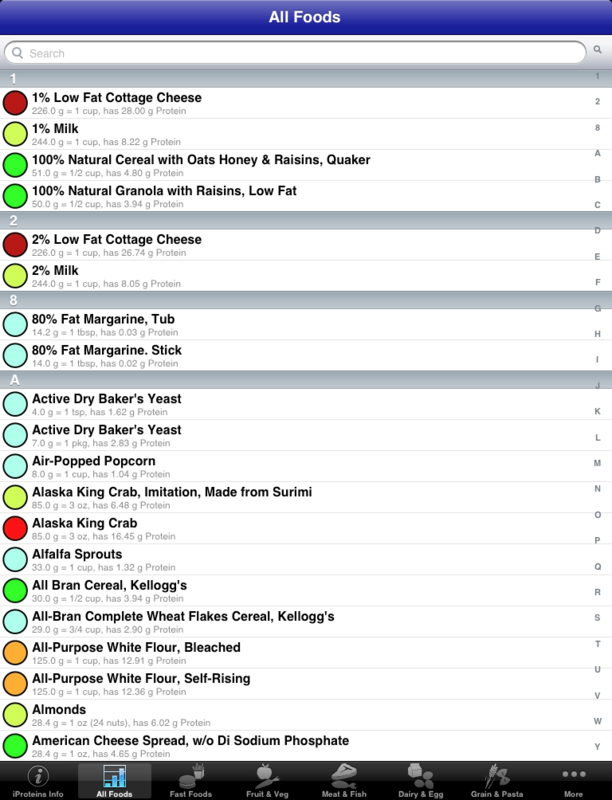 So, whether you’re a seasoned veggie eater or a newbie to the meat-free world, iProteins is a handy app for managing your daily intake! 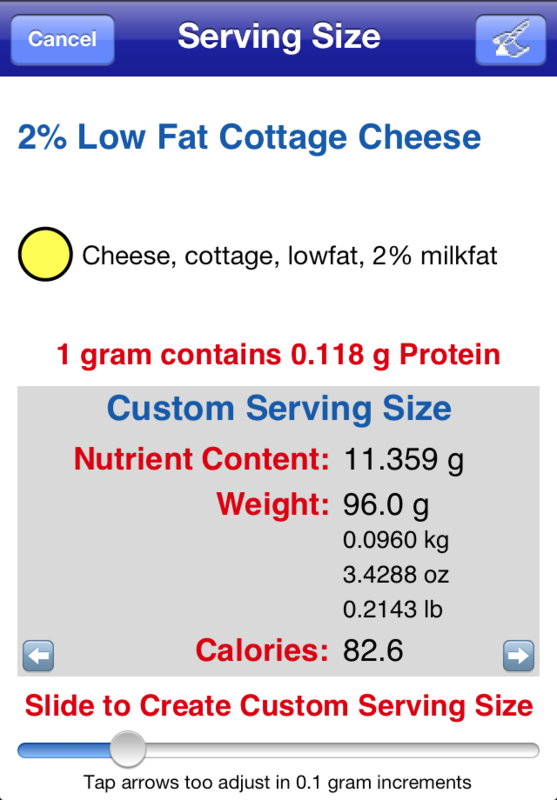 Information is derived from the USDA National Nutrient Database for Standard Reference: Protein Content of Selected Foods per Common Measure. 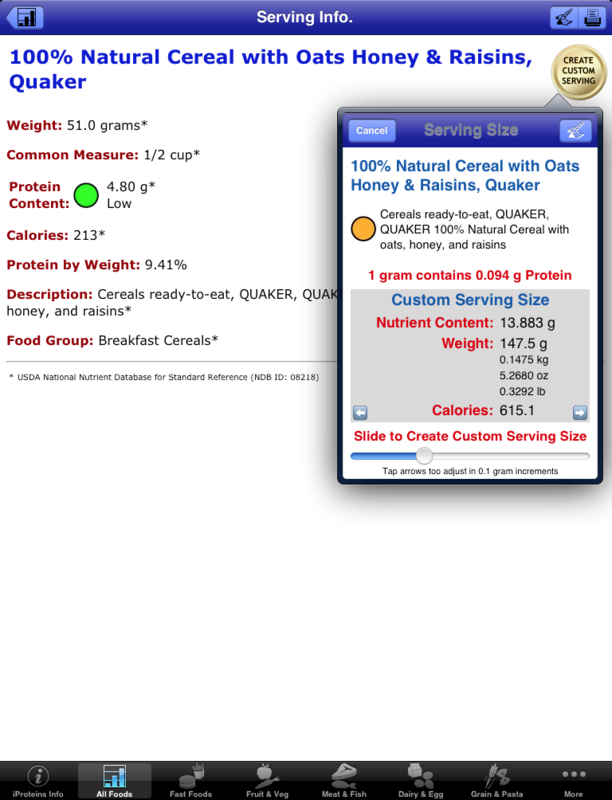 There are currently over 1,100 different food servings included, searchable using more than 2,500 names (some foods are known by different names or how they are prepared, e.g., "Egg, Fried" and "Fried Egg"). A few these have as many as six searchable names.